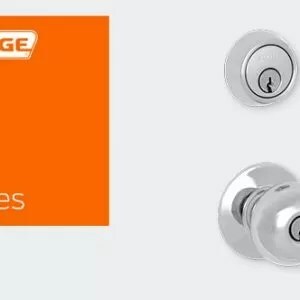 When it comes to quick, easy egress and dependable security, Schlage CS200-Series interconnected locks get the job done. 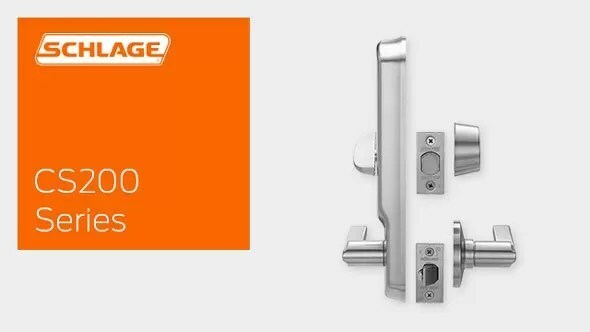 Designed for applications ranging from military housing to multi-family and small hotel/motel buildings, the CS200-Series is a lock you can depend on. 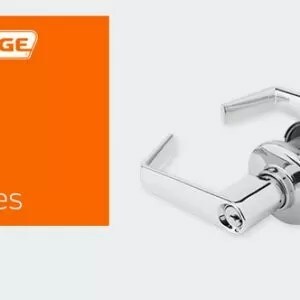 With a Grade 2 ANSI rating, and styles and finishes to suit your building’s design, the CS200-Series fits right where you need it.When it comes to quick, easy egress and dependable security, Schlage CS200-Series interconnected locks get the job done. Designed for applications ranging from military housing to multi-family and small hotel/motel buildings, the CS200-Series is a lock you can depend on. With a Grade 2 ANSI rating, and styles and finishes to suit your building’s design, the CS200-Series fits right where you need it. Handing: Depends upon the style lever trim selected. See the styles tab for additional information. Door Thickness: 1 3/8” to 2” (35 mm-51 mm). Backset: 2 3/4” (60 mm) Standard, 2 3/8” (70 mm) and 5” (127 mm) available. Escutcheon: Brass. 1 1/8” x 2 1/4” (29 mm x 57 mm) square corner, beveled, for 2 3/4” backset standard. For availability with specific backsets, see the catalog. 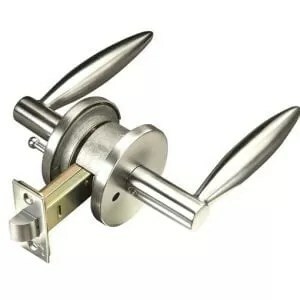 Deadbolt: 1” (25 mm) throw with hardened steel roller, and 1” (25 mm) housings standard. 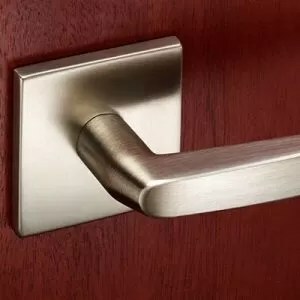 Latch Bolt: Brass, chrome plated, 1/2” (13 mm) throw, deadlocking. Exposed Trim: Levers are zinc base, plated to match finish symbols. Roses, escutcheons, latch faceplates and strikes are stainless steel, wrought brass or bronze. Keying Options: Interchangeable core (FSIC and SFIC) and Primus high security cylinders. Master keying, grand master keying, and construction keying. California State Reference Code: (Formerly Title 19, California State Fire Marshal Standard) All levers with returns comply; levers return to within 1/2? of door face. All locks listed for A label single doors, 2’ x 8’.